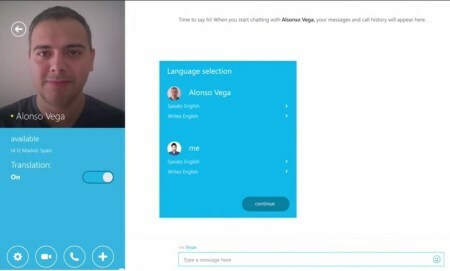 After making easier the possibility to test the Skype Translator preview, and giving users access without requesting a sign-up process, Microsoft announced yesterday, on June 8th, that the translator is coming to Windows desktop app “at the end of this summer”. This could happen at the same time of the Windows 10 release that will be rolling out on July 29 as a free upgrade to existing Windows 7/8/8.1 users or at a starting price of $99 for those interested in purchasing the Windows 10 licence. The company said on its official blog that the preview app is currently supporting four spoken languages: Italian, Spanish, English and Mandarin, including other 50 written instant messaging languages, but it will continue”to expand the repertoire of languages, as they meet the quality standard”. Moreover, they’ve been receiving positive feedback from users so far, and they’ve seen a 300% increase in Skype Translator usage, Microsoft reported. If you haven’t tried yet the Skype Translator preview aimed at eliminating language barriers and improving communication between people who speak different languages, you can see how it works and download it here.